Android app developers looking to add another amazing feature to their Android apps, can now add Google Street View images. Versions of Android from 2.3 (Gingerbread) through 4.4 KitKat (the current version) can tap into the resources in the latest version of Google Play Service. Now, with the latest update, developers access to popular Google services like Gmail, YouTube, Google Drive, Google Maps, Google Wallet and now Street View. Now, with the addition of Street View; restaurant apps, local reward apps, recommendation apps and any other app that wants to offer a photo view of a business or other landmark can easily add the Street View image. 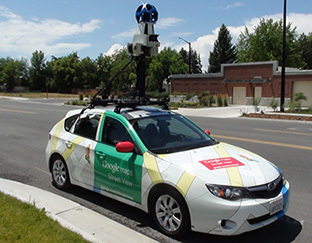 The Street View features are part of an update to the Google Maps Android API. In addition to Street View Google has also added more features to the Indoor Maps feature of the API. Developers can now turn off the default floor picker. The latest API update can also detect when a new building comes into focus and find the currently-active building and floor. Android developers can start using the new Google Play Services update now.